For years, there have only been three different natural “varieties” of chocolate – milk, dark, and white. However, in 2017 a new variety joined the chocolate family – pink chocolate. Known as “ruby chocolate”, the chocolate’s striking pink color is completely natural and derived from the unfermented ruby cocoa beans it is made from. Having been in production since 2004, ruby chocolate was first unveiled at a public event in Shanghai in 2017 and was not available for consumers to purchase until the first quarter of 2018. The first countries to experience the pink chocolate were Japan, South Korea, and the UK, with Australia following in the late spring of that year. Now, the United States will get to experience ruby chocolate for itself – establishments in Texas and Illinois introduced ruby chocolate delicacies in November. Central Market, a Texas-based retail chain, made waves as the first company to sell ruby chocolate in the United States. The UK-based brand Prestat made an agreement with the company to start selling the pink chocolate in the forms of bars, champagne truffles, and chocolate flakes. Because the chocolate is such a new innovation and the ruby cocoa beans are relatively hard to find, the chocolate is pricier than most. A mere .88-ounce bar costs $2.99 – this might not seem like much but considering the price per ounce of a typical milk, white, or dark chocolate bar on average is close to only 90 cents, it’s quite steep. Vosges Haut-Chocolat, an upscale chocolatier from Chicago, was the first US-based company to create their own ruby chocolate treat. They currently sell two different varieties of ruby chocolate truffles online and at certain higher-end stores, though it is unknown if the chocolate can be found in stores nationwide or only in the Chicago area. 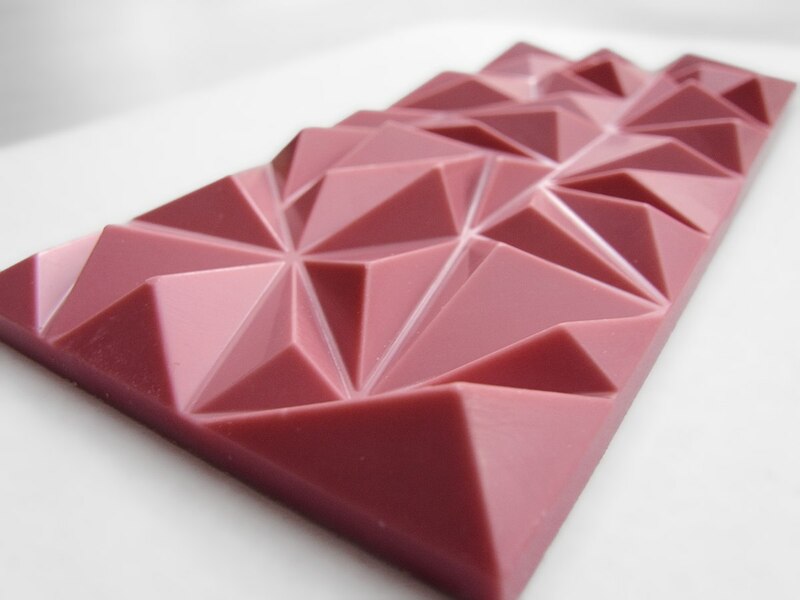 Ruby chocolate doesn’t just distinguish itself from the other kinds by its pink hue. Its flavor is not like any other variety of chocolate, lacking their traditional cocoa flavor. Ruby chocolate’s flavor is more fruity and tangy, tasting like a mix of lemon and cherry with slight hints of dark chocolate. Ruby chocolate is extremely difficult to find at stores at the moment, but as its popularity rises it is likely that it will begin to spread to stores nationwide, lending you a chance of being able to find it. There are varieties of white chocolate simply colored pink with food colorings sold under the moniker “pink chocolate” in stores, though, so be wary of the packaging of pink chocolate if you see it – if the package explicitly claims what you’re eating is “ruby chocolate”, then you’re getting the real deal.